Home › Toys › Rhode Island Novelty Dinosaur Gliders Set (48 Pack) 7 1/2"
Rhode Island Novelty Dinosaur Gliders Set (48 Pack) 7 1/2"
Rhode Island Novelty Dinosaur Gliders Set (48 Pack), 7 1/2"
Comes with 48 individually packed dino gliders. Comes with dinosaurs in assorted styles and colors. 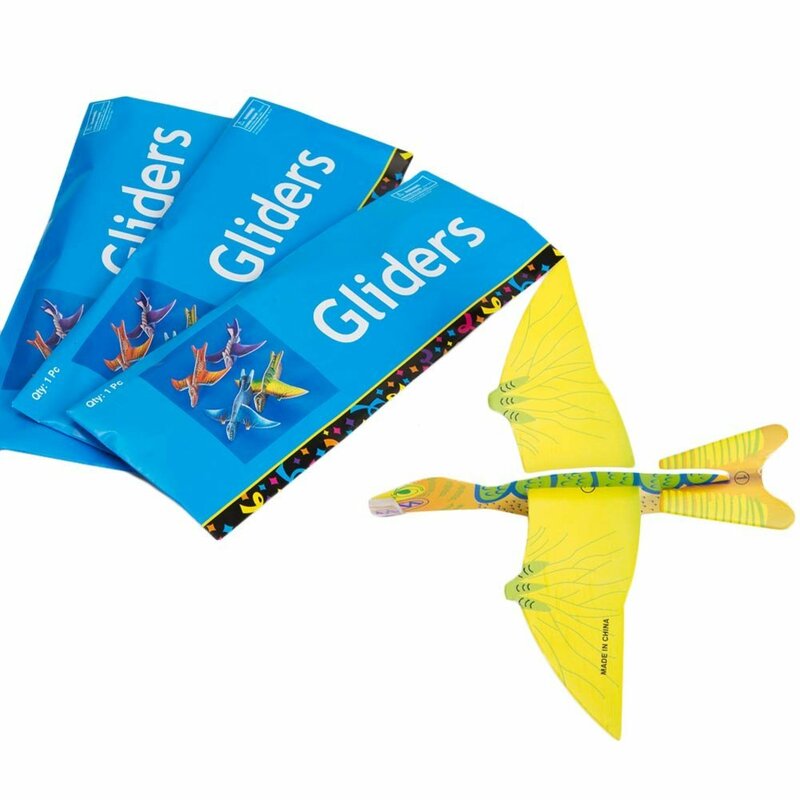 Go back to the prehistoric times with these fun foam dino gliders. These foamgliders are individually packed and come with their own assembly instructions.Great as party favors, in goody bags , or even stocking stuffer!